All of us at Advanced Dentistry of Scarsdale and Chappaqua Dentistry would like to congratulate Dr. Brisman on becoming the new President of the Greater New York Academy of Prosthodontics (GNYAP)! As the President of GNYAP, Dr. Brisman will lead the greatest minds in Prosthodontics in new, innovative ways to help patients all over New York. Dr. Brisman cares deeply about his profession and you, our patients. As the President of GNYAP, he will lead the way in patient care. While he is now the President of GNYAP, you can still expect to see Dr. Brisman hard at work in our Scarsdale and Chappaqua locations. 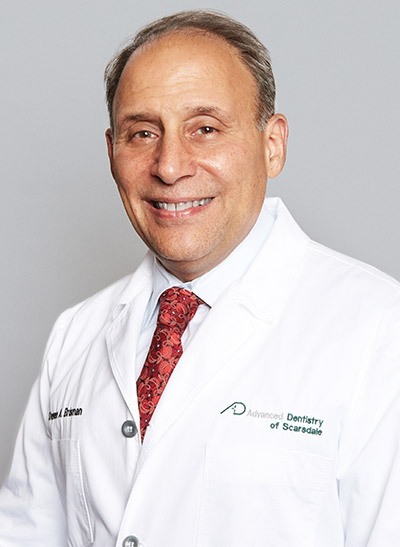 He is dedicated to his work in prosthodontics, and will work closely with his team to transform smiles with dental implants, dental crowns, and other cosmetic dentistry in Westchester. When you visit our office, be sure to congratulate Dr. Brisman on his achievement!